A lot of people have spent a lot of time talking about The Agreement/Belfast Agreement/Good Friday Agreement (and doesn’t it say a lot that different people still use different names for it?) over the past few months. Some people, who have barely raised a concern about it since 1998, are suddenly particularly worried about it. Hmm. I wonder why they were mute and motionless when it was being systematically undermined from 1998 onwards? So maybe it’s worth reminding ourselves of the original views of both the DUP and Sinn Fein. 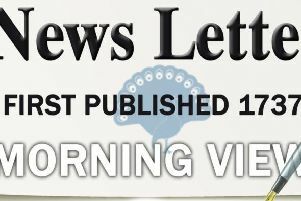 Yet a few years later – and the first rustles in the undergrowth began in early 2004, after the UUP and SDLP had been eclipsed in the November 2003 Assembly election – the DUP and SF had begun the very torturous process of engagement which would lead to the deal in May 2007 which put their parties at the centre of government in Northern Ireland for the next decade. The Good Friday Agreement had a number of essential ingredients: it allowed both Irish nationalists and UK unionists to promote and protect their identities; it allowed both to pursue their separate constitutional ambitions; it created an environment in which paramilitary groups would be able to abandon their activities in favour of democracy; it facilitated much closer relations between north and south and east and west; it provided an opportunity for both sides to see if it would be possible to begin a ‘new era’ of doing politics differently here. When SF’s leadership signed off on the deal with the DUP in 2007 – and in the subsequent Programmes for Government in 2011 and 2016 – they were signing off on a deal to govern NI in the UK until such times as a border poll decided otherwise. Ok, it clearly wasn’t a permanent internal settlement (maybe I should describe it as a ‘backstop’ of sorts) yet, to all intents and purposes, it was designed and generally functioned as an internal settlement. Martin McGuinness wasn’t deputy first minister of a ‘place that might, one day, be part of a united Ireland’. He was deputy FM of Northern Ireland and travelled the world on that basis and understanding. The DUP also knew what it was signing up to. It still regarded the Agreement as the ultimate threat to the Union. But there was nowhere else to go, other than walking away from the Assembly altogether: something it couldn’t do because it knew there would be no going back to the drawing board for a new deal. It may never have ‘signed’ or ‘recognised’ the 1998 Agreement, but it was, again to all intents and purposes, implementing it from 2007 onwards. Whatever their respective views of the Good Friday Agreement may be today – although I don’t think they’ve changed all that much since April 1999 – both the DUP and Sinn Fein knew what they were getting in to in May 2007. And what they were getting into was a huge hole. For all of SF’s claims about ‘transitional’ staging to Irish unity, they were still going to be required to participate in the sort of internal arrangements – with no guarantee of a border poll escape route anytime soon – in which NI was governed within the UK. And the DUP was going to be required to co-govern NI with a party which it still believed had no interest beyond continuing to weaken and eventually erode the Union. The nature of their relationship fuelled my scepticism about the chances of it succeeding. On many occasions I was accused by SF and DUP members and representatives of deliberately distorting their positions; and persistently criticised for the sin of ‘false equivalence’ by daring to suggest that they were as bad as each other. But since they both reached an agreement in 2007 which they knew was based on a self-serving pretence (a pretence which has been built upon since then – including by smaller parties allowing themselves to be patronised within the Executive), they clearly both knew it would implode at some point. Brexit and RHI may have hastened the implosion: but the implosion was always coming. The 1998 Agreement is dead. The 2007 follow-on is also dead. I don’t see how the DUP/SF begin with another pretence. I don’t see any new political/electoral vehicles ready to take up the reins. Crucially, there is no evidence of a majority wanting something different.